I started running in Feb of 2009. First Marathon- Sept 19,2009 - Wright Patt Air Force Base Marathon. No injuries and another marathon. Did I mention avoiding injuries? 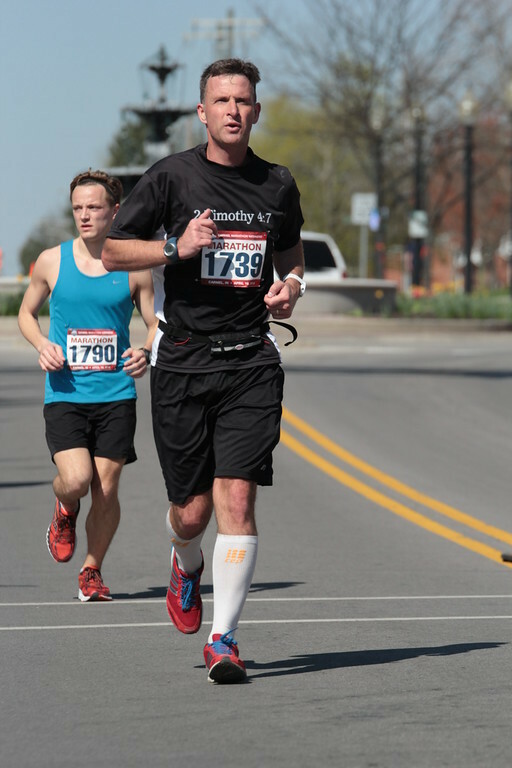 More marathons, help others around me achieve goals. Psalm 14:1 "The fool hath said in his heart, There is no God." John 14:6 "Jesus saith unto him, I am the way, the truth, and the life: no man cometh unto the Father, but by me." Weather is shaping up! Nice afternoon temps. 8 miles with 11x30 striders. 90s recoveries. great workout. I take no racing with the bikes today. Our weather has been magnificent!!! Too bad I've been taking off for all of it. :-)Good running! IJR- those are the breaks! But you had a great marathon so totally worth it.